Ajax is a wireless security system that protects against intrusions, fires, and floods, and also enables users to control electrical appliances directly from a mobile app. The system responds immediately to threats informing you and the security company about all incidents. Alarms – sent in the case of detection of an intrusion, fire, flood, and loss of communication between the hub and the Ajax Cloud service. Malfunctions – sent in the case of jamming, loss of communication between the hub and the device, low battery of the device or hub as well as attempts to sabotage the system (masking or tampering). Events – sent in the case of turning on/off electrical appliances through WallSwitch, Relay, Socket. Arming/Disarming – send when the security mode is changed and the Night Mode is enabled/disable. The Ajax security system informs users about each type of notification using three methods: push notifications, SMS, and phone calls. All types of notifications can be configured independently by selecting convenient alerts for each system user. In order to deliver push notifications about events to mobile apps, Ajax uses Google’s Firebase Cloud Messaging (FCM) service and our proprietary software solution. On some Android devices, FCM may not function correctly. The Ajax software solution increases the reliability of push message delivery, but requires additional smartphone battery resources. For more reliable delivery of notifications, enable Ajax services — enter the application settings (click on the 3 horizontal bars in the upper left corner, select the Application Settings menu) and activate the Background Connection and Keep-Alive Service functions. 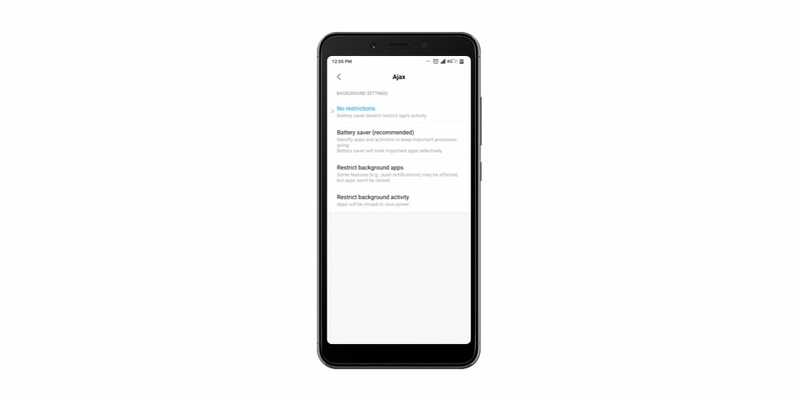 When you enable a Background connection, the Ajax app checks regularly the delivery of notifications through the Ajax Cloud service. If one or more notifications have not been delivered to the Ajax app for whatever reason, the service re-sends them again. Android phones with the battery saving mode (power saving) enabled can block push notifications. Enabling Keep-Alive Service prevents the system from blocking push notifications originating from the Ajax app. The option is enabled by default. 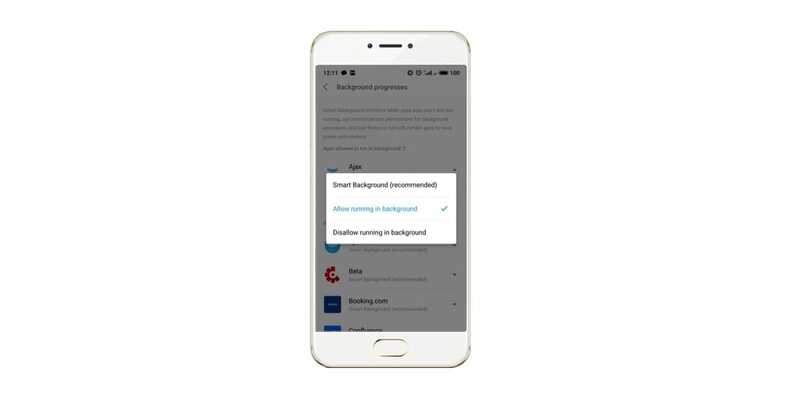 ❗️After enabling the option on smartphones with Android version 8.0 and higher, the Notification Center panel is displayed in the notification shade. 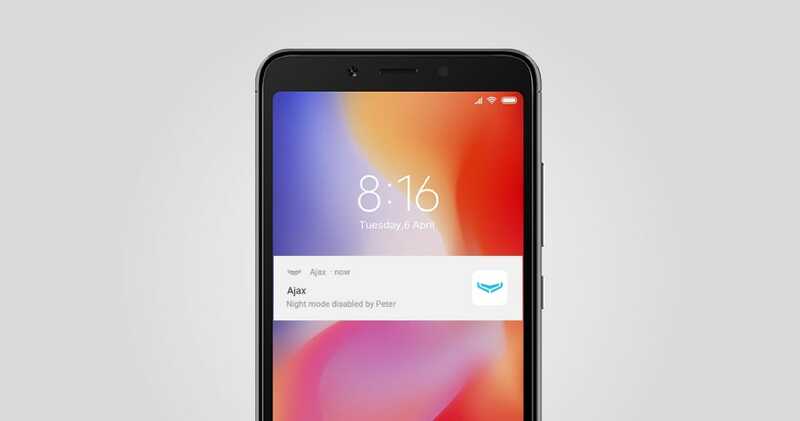 On smartphones with Android 8.0 and higher, there are two push notification delivery channels — the Alarm Channel used to deliver alarms and the Main Channel designed for all other events. In order to avoid missing notifications, you need to assign high priority to channels. 1. Go to the menu: Smartphone Settings → Applications → App Info. 2. Select the Ajax app from the list and click on App notifications. You will see two notification categories: Alarm channel (alarm notifications) and Main channel (all other notifications). 3. When you select the notification category, in the Importance category, select Critical Importance. 4. Save the settings by clicking Back. In order to avoid missing notifications in the Do Not Disturb mode (when Only important notifications are activated) enable the Priority Interruptions Only option. Background operation of the application is limited. 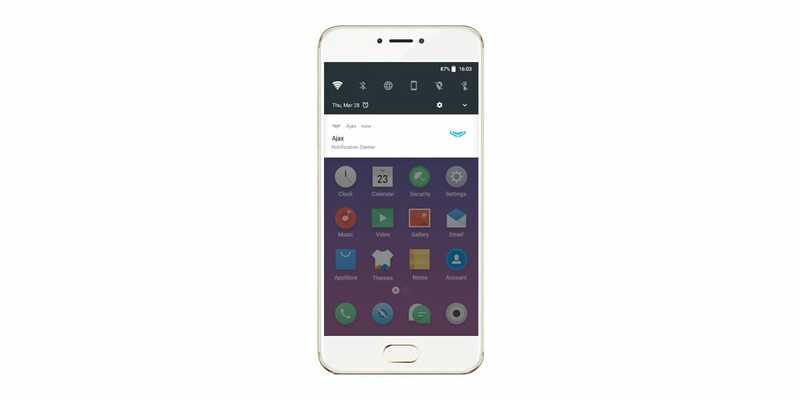 Certain manufacturers have added features to the smartphone settings that block any application attempts to send notifications to the user. Below, we discuss the features of push notification settings on Xiaomi, Huawei, and Meizu smartphones. Go to the menu: Smartphone settings → Installed apps → Ajax app. Enable the Autostart feature for the Ajax app. 2. 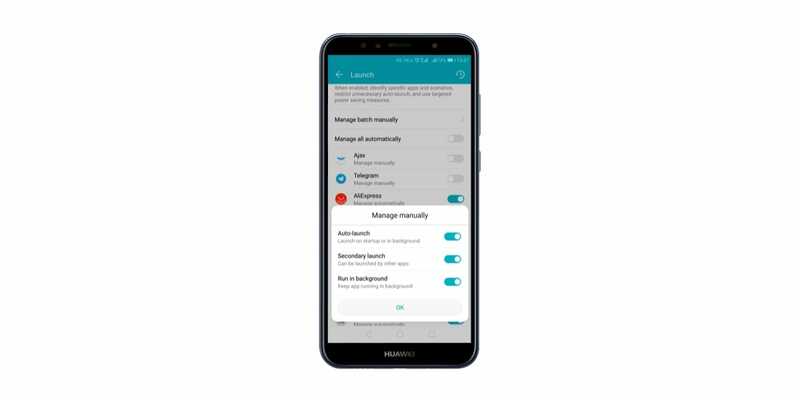 Press Other permissions and allow Change Wi-Fi connectivity, Home screen shortcuts, Show on Lock screen, Start in background. Go back to the settings menu. 3. Press Battery saver and choose No restrictions. 2. Turn on Auto-launch, Secondary launch and Run in background options. Press OK.
Go to the menu: Smartphone settings → Security → Permissions → Background progresses. Enable the background operation. Enable the feature for the Google Play Services and Google Services Framework.